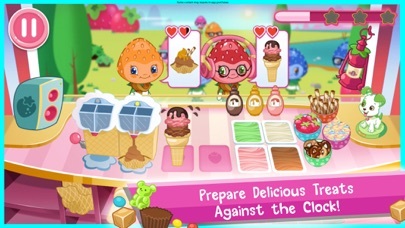 Strawberry ice cream is a sweet app for little ones. 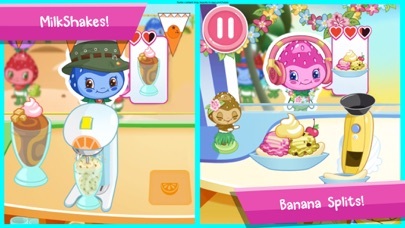 You can scoop ice cream to blend smoothies to shave ice and so much more! 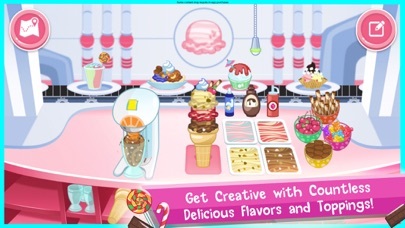 My personal fave is the science lab where you can whip up your own summer treats and be inventive. It teaches kids to be creative. You can unlock new levels and each time it gets harder. Bring back the berrykins and make what they want. You do have to make it in a certain amount of time and if you don’t, you will lose a customer. But don’t let that discourage you. The only thing that matters is to have fun! Now go make some delicious treats! 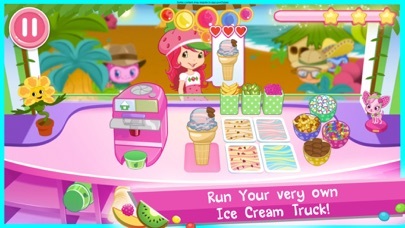 Game was fun while playing I was excited to have a game like this where you can serve ice cream and get something new each round but then... I get to the end of the “level” (only like 5 levels each extremely short) and I have to pay $3.00!!!!!!!!!!!!!! Just to get into the next level I deleted this game and I will not be getting it again I am really disappointed because I would love to continue playing this game if I did not have to pay and my parents won’t even let me buy stuff in games so I have really no chose but to delete it unless I want to replay the rounds over and over again which I don’t. My children loved this game. Too bad after 3 or 4 levels you have to pay to continue to play. 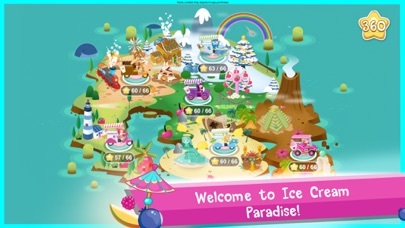 Most games offer ads for a couple extra levels. It’s difficult to explain to small children that the game wants $2.99 for each different section. I love this with a capital L!!!!!!!!!!!!!! Pay pay pay pay pay pay you guys are better of buying Minecraft! And if you already have that buy Toca games! 😡😡😡 I hate in app purchases they are stupid and you wast your money on them trust me Minecraft is waaaaaay better. Budge I hope your reading this review your company is stupid you’ve lost my interest in your games! I understand in app purchases, but having it be that it is either spend the money or not continue is not great. I can’t afford to pay anything to continue and would love to continue.. I am done getting any games from Budge because of this. I have no money and so I find this quite frustrating. If you need to be able to make some money, give optional IAP. Crayola Colorful Creatures - Around the World!